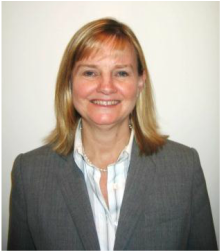 Ms. Elaine Killoran is a Consultant at Command Group who has over thirty years of experience serving in critical resource management leadership positions at key homeland security agencies in the U.S. government. Ms. Killoran most recently served as Deputy Assistant Commissioner and Deputy Chief Financial Officer for the Office of Administration at U.S. Customs and Border Protection (CBP) in the Department of Homeland Security. She also previously served as the Executive Director of Budget for CBP, where she was responsible for the planning, formulation, and execution of the CBP budget. In addition, Ms. Killoran served as a budget analyst for the U.S. Secretary of Commerce and the National Telecommunications and Information Administration. Ms. Killoran is a recipient of the CBP Commissioner’s Award and the Presidential Rank Award for Meritorious Executive Service.